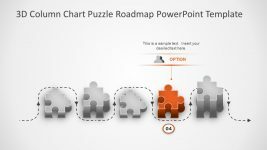 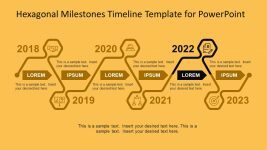 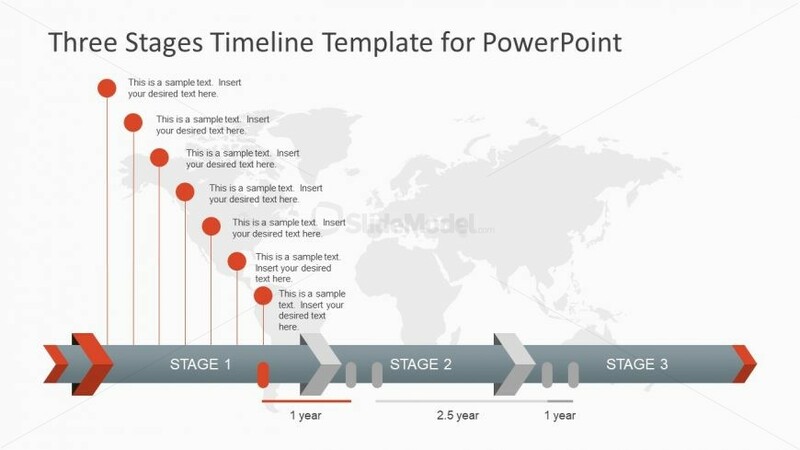 The Timeline Maker Template PPT has an outstanding slide of tasks and duration in PowerPoint. 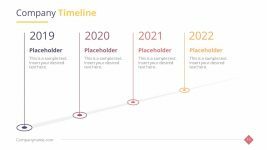 It assists the users to display an awesome visual of for creating a schedule. 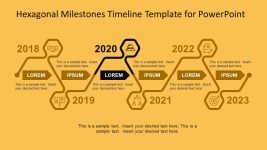 This template displays the first stage of three step timeline PowerPoint. 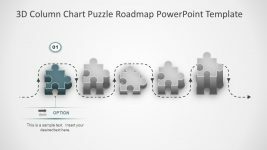 Further, the vertical pointers show the tasks and activities of the segment. 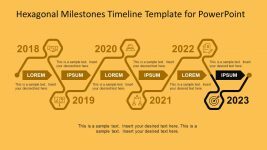 Therefore, every vertical Pointer has text placeholders given to enter textual content. 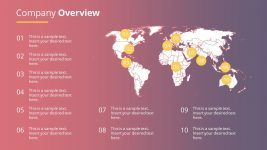 The presentation template also contains an interesting background world map. 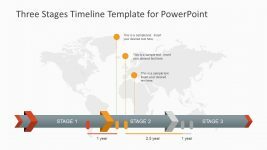 Hence, the PowerPoint timeline also shows its usability in any timeline presentation regardless of an industry.